Bluegrass Land Conservancy was named the official charity of the 2019 Land Rover Kentucky Three-Day Event. Lexington, Kentucky - January 29, 2019 - Continuing with its tradition and commitment of supporting charities that serve the local community and support equine organizations, Equestrian Events, Inc. has named Bluegrass Land Conservancy the Official Charity of the 2019 Land Rover Kentucky Three-Day Event. The prestigious five-star event returns to the Kentucky Horse Park April 25-28. "We are thrilled to be chosen as this year's charity for the Land Rover Kentucky Three-Day Event!" said Helen Alexander, Bluegrass Land Conservancy Board Chair. "This kind of recognition is so important to the work we do, and we hope that those coming in for the event will have an opportunity to get to know our organization better. The Bluegrass region of Kentucky is unique and special and spreading the word about what we do is so vital to our mission. A big thank you for this wonderful honor!" 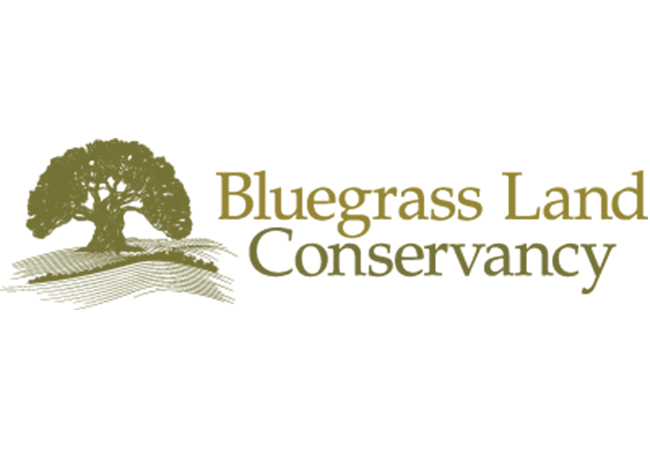 Bluegrass Land Conservancy is the largest accredited land trust in the Commonwealth of Kentucky and was formed to protect the land in Kentucky's Bluegrass Region through permanent conservation easements. Since 1998, Bluegrass Land Conservancy has protected 95 miles of rivers and streams, 21,600 acres of prime farmland soils and soils of statewide importance, 63 farms that contain historic sites, 10.29 miles of scenic byway frontage and over 27,000 acres of 131 farms in 24 counties across the Greater Bluegrass Region. "The mission of the Bluegrass Land Conservancy fits seamlessly into the what EEI looks for in an annual charity for the Land Rover Kentucky Three-Day Event," said Stewart Perry, president of Equestrian Events, Inc., organizer of the Land Rover Kentucky Three-Day Event. "This organization's work is making an impact now and will continue to do so in the future by maintaining much of what makes our Bluegrass state a beautiful place to live as well as visit." The main fundraiser for the Bluegrass Land Conservancy during the 2019 Land RoverKentucky is a farm-to-table dinner and equine-themed silent and live auctions (including tickets to the 2020 Kentucky Derby) on Thursday, April 25, after the day's competition. The dinner will be held at Mount Brilliant Farm, the final home of Man o' War, the American Thoroughbred widely considered one of the greatest racehorses of all time. Tickets to the dinner are $80 per person and availability is limited. Visitwww.kentuckythreedayevent.com/fundraisingdinner for more information and to purchase tickets. Additionally, EEI is again hosting the $225,000 Kentucky CSI3* Invitational Grand Prix, which will run Saturday afternoon, April 27, after the Cross-Country portion of the Land Rover Kentucky. Stadium seat tickets for the Grand Prix are $5 each - with $1 going to the 2019 Official Charity. "Bluegrass Land Conservancy is dedicated to permanently protecting and stewarding lands critical to agricultural viability and community character in the Bluegrass Region. Our work ensures the equine farms of Kentucky will be around for future generations of equine enthusiasts and we are excited to share our message at this world-class event," said Jessie Wilder, executive director, Bluegrass Land Conservancy. Equestrian Events Inc., (EEI) the organizer of the Land Rover Kentucky Three-Day Event (LRK3DE), started an "Official Charity of the Year" at the event in order for EEI to connect with and promote its support of local organizations and to provide an opportunity for a local charity to increase their awareness by connecting with the event's attendees that are 80% from out of state. Now in its 41st year, the LRK3DE is a thrilling competition featuring Olympic-level riders and horses from across the nation and around the world in what can best be described as an equestrian triathlon. Known as "The Best Weekend All Year," the LRK3DE is a multi-day highly-competitive event in which the world's best horses and riders vie for their share of $400,000 in prize money, as well as a shot at the $350,000 Rolex Grand Slam of Eventing, which is awarded to any rider who wins the Land Rover Kentucky, Mitsubishi Motors Badminton and Land Rover Burghley Five Star Events in succession. The LRK3DE recently received the pinnacle Five Star status from the FEI having been a four star event since 1998. As of January 1, 2019, it is now one of only six annual Five Star three-day events in the world along with Badminton and Burghley in England; Luhmuhlen in Germany; Pau in France; and Adelaide in Australia. LRK3DE is the only five-star event in the Western Hemisphere, and as the nation's premier event, it also serves as the Land Rover/USEF National CCI5*-L Championship for the American riders. Single-Day and Multi-Day tickets for the 2019 Land Rover Kentucky Three-Day Event are now on sale. All grounds admission tickets to the Land Rover Kentucky Three-Day Event include general parking and admission to the Kentucky Horse Park and International Trade Fair, but do not include seats for the competition in the Rolex Stadium. Reserved stadium seating is sold separately from grounds admission. Traditionally the best seats sell out, so everyone is encouraged to place orders as early as possible. For a unique world-class Kentucky experience, special Ringside Hospitality packages are also available. Cross-Country day (Saturday) draws massive crowds to the Kentucky Horse Park and those interested in a reserved tailgating spot along the course for the increasingly popular Land Rover Tailgate are urged to reserve their spaces early. Premium spots generally sell out quickly. Tickets for the 2019 Land Rover Kentucky Three-Day Event can be ordered online at www.KentuckyThreeDayEvent.com/tickets or over the phone (859-254-8123). Further information on the Land Rover Kentucky Three-Day Event is available at www.KentuckyThreeDayEvent.com. As a nationally accredited, community supported, 501(c)(3) nonprofit land trust, Bluegrass Land Conservancy works on a voluntary basis with landowners, community groups, and municipalities to encourage the preservation of land for agricultural viability, natural habitat, rural heritage, and scenic open space. Landowners or community groups contact us and we work with them on an individual and confidential basis to explore if conservation is right for them. In 2012, Bluegrass Land Conservancy became the first Land Trust in Kentucky to receive Accreditation by the Land Trust Accreditation Commission, which is a mark of distinction, showing that a land trust meets high standards for land conservation. For more information visit https://bluegrasslandconservancy.org.